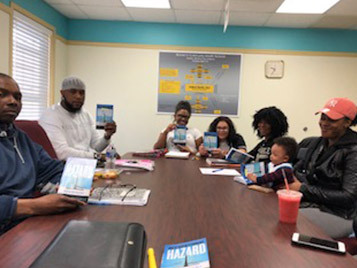 Occupational Hazard was assigned as part of the reading curriculum in Ralph E. Moore, Jr.’s GED-prep class of the Healthy Start Program of Johns Hopkins Urban Health Institute of Baltimore, MD. Ralph’s students proudly showing off their copies of Occupational Hazard. 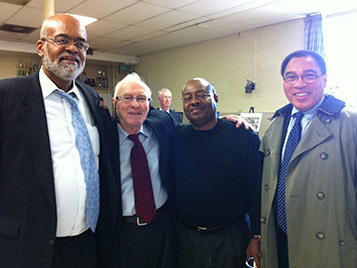 Ralph Moore himself, a life-long community activist, is on the far left and is also pictured with another friend, Hon. William M. Jackson of the Superior Court of the District of Columbia, who is on the far right. 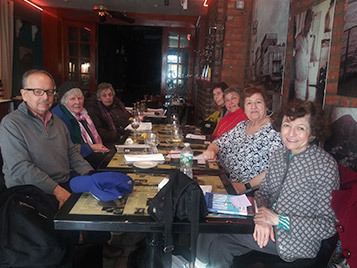 Here’s Alex discussing Occupational Hazard with friends at –where else?—Mama Maria’s. To more carefully edit and proofread, as boring and tedious as such efforts are: read your finished writing out loud. Forces you to read every single word and avoid the unconscious skimming and glossing over what is all too familiar. This makes it easier to spot typos and grammatical errors and further assists to edit your writing, as you get a reader’s feel for the flow of your writing. Think about how negative you feel when you encounter typos or obvious grammatical errors in a published work. Remember how terrible you feel to find the same in your writing. 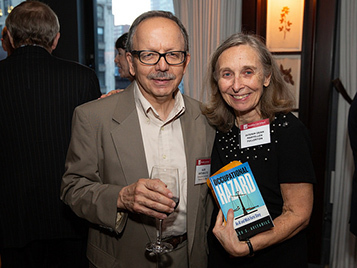 Alex recently presented a signed copy of Occupational Hazard to Dean Maryellen Fullerton at a Brooklyn Law School alumni event! Occupational Hazard featured on Tympest Books! 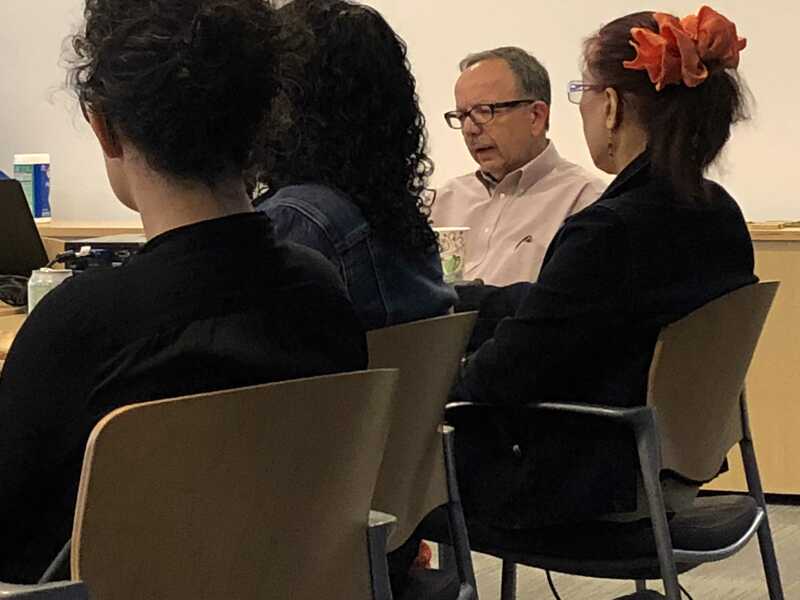 Alex launched the publication of Occupational Hazard with a reading at the New York City office of Enterprise Community Partners, Inc., where he served as vice president and deputy general counsel at the time of his retirement at the end of 2015. The reading was attended by some 50 former Enterprise colleagues and others, and a rousing discussion of the book ensued and was enjoyed by all. Below is a picture of Alex at the reading. 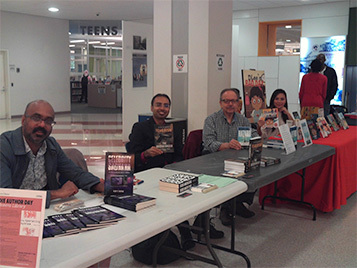 event to sign (and sell) copies of Occupational Hazard. Be on the look out here for notices of future readings and other Occupational Hazard events.